THE BRITISH VIRGIN ISLANDS locally known as NATURES LITTLE SECRETS, are easily the best sailing destination in the Caribbean, and arguably one of the best in the world. 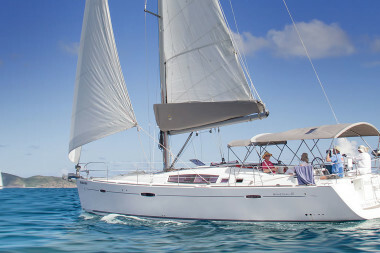 Warm weather year round, consistent trade winds and line of sight sailing make the BVI a sailors paradise. Our beautiful country is made up of over 60 islands and cays, mostly unspoiled, with fabulous white sand beaches, plentiful marine life, crystal clear waters and a relaxed island vibe. There are the spectacular boulders of Virgin Gorda and the picturesque village and beaches of Jost van Dyke along with the diversity and seclusion of the other 40 sister islands, islets and cays. The British Virgin Island’s truly do offer something for everyone. whether you are looking to escape it all, in the privacy of your own secluded beach, or join the exhilarating and debaucherous escapades where most charterers begin, and the place to which cruising sailors the world over make pilgrimages by the hundreds, year after year.